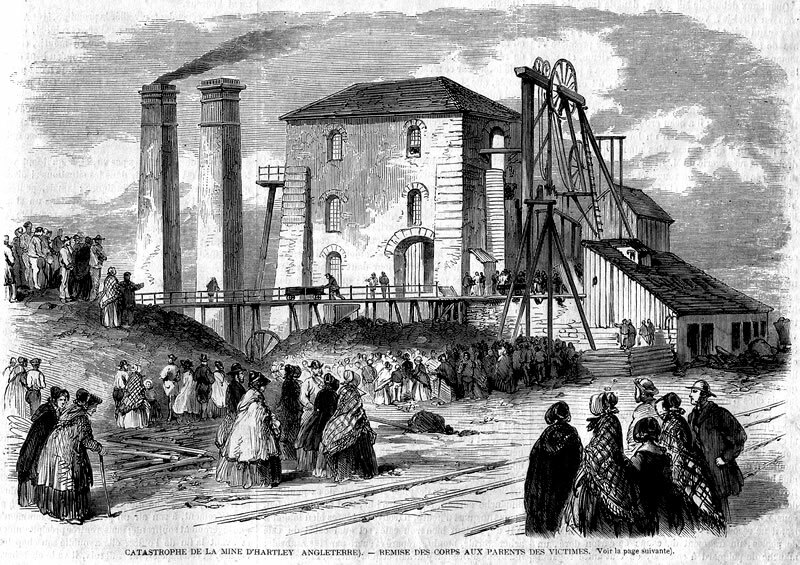 The Hartley Colliery disaster was a coal mining accident that occurred on Thursday 16 January 1862 in Northumberland, England and resulted in the deaths of 204 men. The beam of Hartley’s Hester Pit pumping engine broke and fell down the shaft, trapping the men below. The disaster prompted a change in UK law that henceforth required all collieries to have at least two independent means of escape. Drawing of the fractured cast iron beam. Illustrated London News, 1 Feb 1862. In common with many collieries of the period and locality at Hester Pit only a single 12 feet diameter shaft was dug. 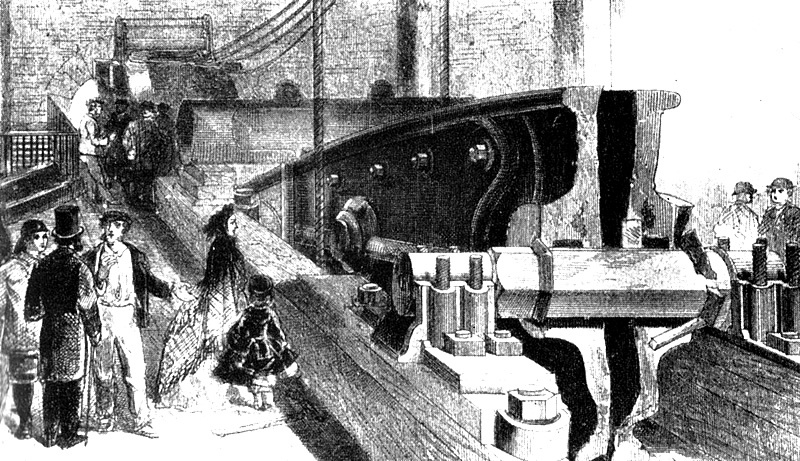 Coal, men, and materials traveled up and down the shaft, which also accommodated the pumps. In addition, the shaft provided vitally important fresh air ventilation and extraction of the firedamp. To separate the shaft, a timber brattice (partition) was built from the top of the shaft to the bottom. Men and materials passed up and down on the downcast side, the pumps worked in the upcast. At Hartley a furnace was kept burning in the yard seam with the rising hot gasses passing up the furnace drift to join and draw foul air up the upcast side of the shaft. The vulnerability of such an arrangement had already been identified and publicised before the shaft was dug. Hartley Colliery Disaster, the dead are brought up to their families. L’llustration, 1862, p 101. On 16 January 1862 the fore shift went on duty at 02:30. At 10:30 the same morning the back shift were taking over from the fore shift, so most men of both shifts were at the coal face. As the first eight men were ascending, the beam of the pumping engine snapped and fell down the shaft. Although much of the brattice was destroyed, the first part seems to have deflected the beam away from the cage. Other debris did fall on the cage snapping two of the four support chains. Four of the eight men fell, the others managed to cling on. The beam came to rest jammed in the shaft and other falling debris created a blockage 27 metres deep between the yard seam and the high main. Funeral Procession Leaving Colliery. Antique Print 1862. The initial rescue attempt saved two miners. Further rescue attempts were hindered by escaping fumes of carbon monoxide from the upcast furnace and from measures it had ignited. The last attempts found all the miners dead, and the rescuers were themselves severely affected by the gas. The task was now recovery of bodies and by Sunday all were recovered. The heroism of the volunteers who attempted to rescue the victims was marked by a special medal, the Hartley Disaster Medal. Hester pit was never reopened. 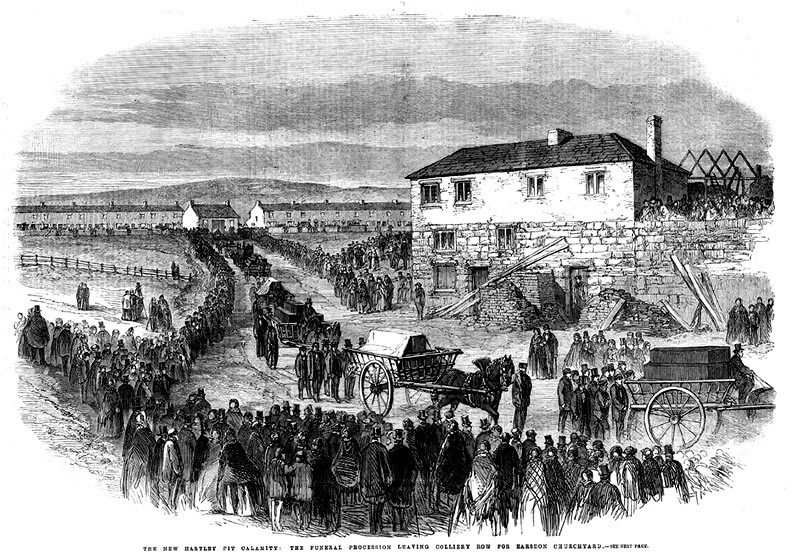 On 7 August 1862, just 6 months after the inquest and less than 7 months from the disaster, the Act to Amend the Law Relating to Coal Mines of 1862 was passed. This required all new mines to have two shafts and all existing mines to ensure access to a second shaft before the end of 1864. The Führerbunker was an air-raid shelter located near the Reich Chancellery in Berlin, Germany. It was part of a subterranean bunker complex constructed in two phases which were completed in 1936 and 1944. It was the last of the Führer Headquarters used by Adolf Hitler during World War II. July 1947 photo of the rear entrance to the Führerbunker in the garden of the Reich Chancellery. 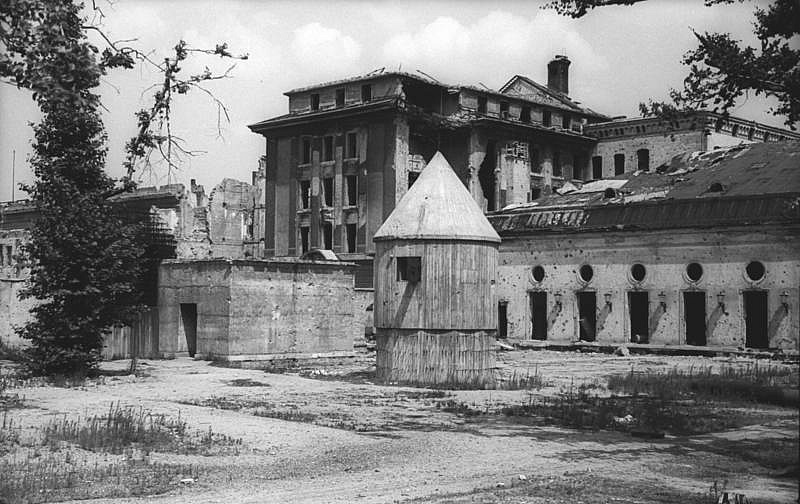 Hitler and Eva Braun were cremated in a shell hole in front of the emergency exit at left; the cone-shaped structure in the centre served as the exhaust, and as a bomb shelter for the guards. Hitler took up residence in the Führerbunker on 16 January 1945 and it became the centre of the Nazi regime until the last week of World War II in Europe. Hitler married Eva Braun here during the last week of April 1945, shortly before they committed suicide. 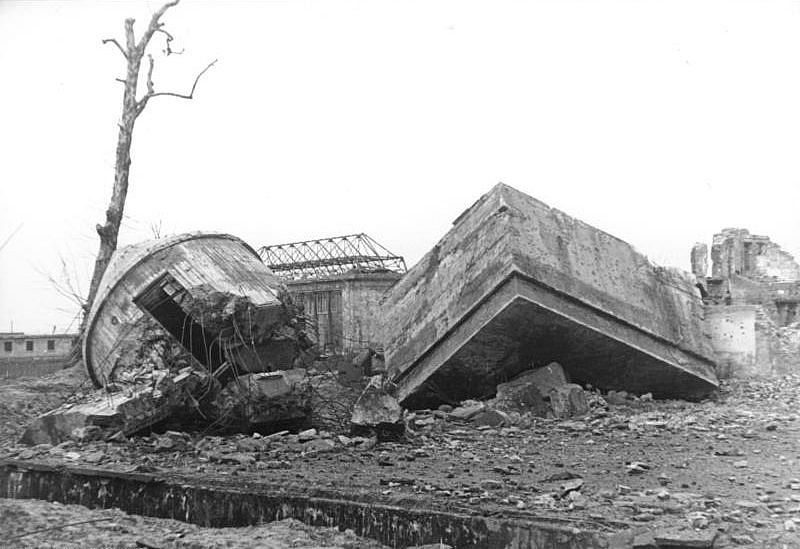 Ruins of the bunker after demolition in 1947. After the war both the old and new Chancellery buildings were levelled by the Soviets. Despite some attempts at demolition, the underground complex remained largely undisturbed until 1988–89. During reconstruction of that area of Berlin, the sections of the old bunker complex that were excavated were for the most part destroyed. The site remained unmarked until 2006, when a small plaque with a schematic diagram was installed. Some corridors of the bunker still exist, but are sealed off from the public. Interior view of a replica of the living room and study of Adolf Hitler's bunker in Berlin on Oct. 27, 2016. 1962 – Frank Hurley, the first official Australian Imperial Force photographer, dies. James Francis "Frank" Hurley, OBE (15 October 1885 – 16 January 1962) was an Australian photographer and adventurer. He participated in a number of expeditions to Antarctica and served as an official photographer with Australian forces during both world wars. His artistic style produced many memorable images. He also used staged scenes, composites and photographic manipulation. Frank Hurley, circa 1914. 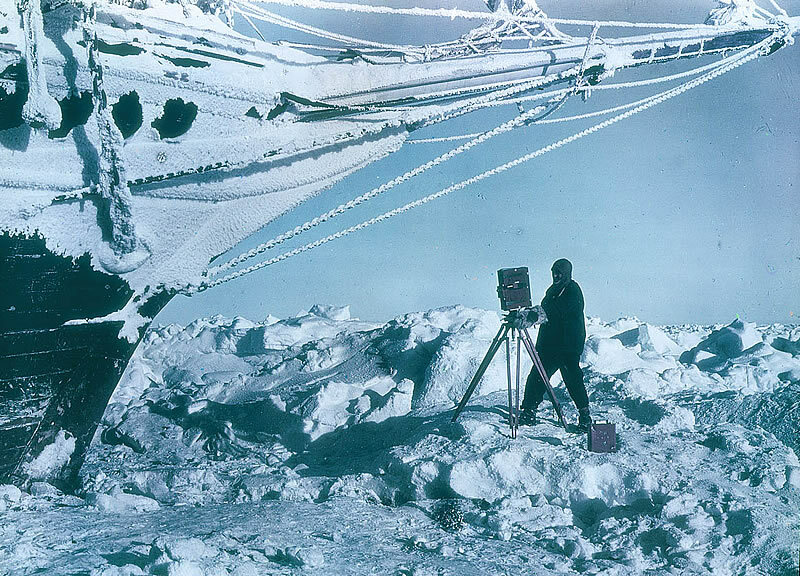 Frank Hurley filming a Weddell seal with his J A Prestwich cine camera. Hurley was the third of five children to parents Edward and Margaret Hurley and was raised in Glebe, a suburb of Sydney, Australia. He ran away from home at the age of 13 to work on the Lithgow steel mill, returning home two years later to study at the local technical school and attend science lectures at the University of Sydney. When he was 17 he bought his first camera, a 15 shilling Kodak Box Brownie which he paid for at the rate of a shilling per week. He taught himself photography and set himself up in the postcard business, where he gained a reputation for putting himself in danger in order to produce stunning images, including placing himself in front of an oncoming train to capture it on film. Iconic shot of the Endurance lit by flares at night. Photo by Frank Hurley 1914-1917. Frank Hurley spent more than four years in Antarctica. 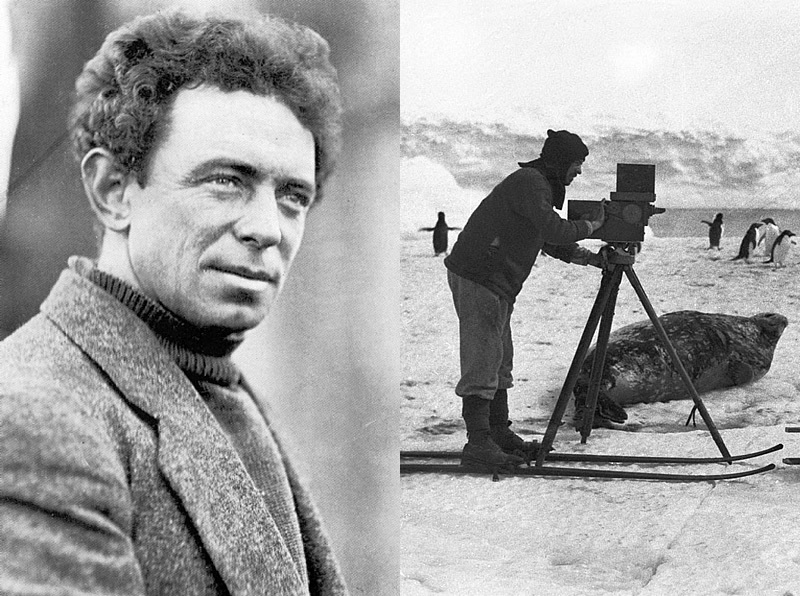 At the age of 23, in 1908, Hurley learned that Australian explorer Douglas Mawson was planning an expedition to Antarctica; fellow Sydney-sider Henri Mallard in 1911, recommended Hurley for the position of official photographer to Mawson's Australasian Antarctic Expedition, ahead of himself. Hurley asserts in his biography that he then cornered Mawson as he was making his way to their interview on a train, using the advantage to talk his way into the job. Mawson was persuaded, while Mallard, who was the manager of Harringtons (a local Kodak franchise) to which Hurley was in debt, provided photographic equipment. The Expedition departed in 1911, returning in 1914. On his return, he edited and released a documentary, Home of the Blizzard, using his footage from the expedition. Colour plate from 1914-1916 Antarctic expedition. State Library of NSW. Hurley was also the official photographer on Ernest Shackleton's Imperial Trans-Antarctic Expedition which set out in 1914 and was marooned until August 1916; Hurley produced many pioneering colour images of the Expedition using the then-popular Paget process of colour photography. He photographed in South Georgia in 1917. He later compiled his records into the documentary film South in 1919. 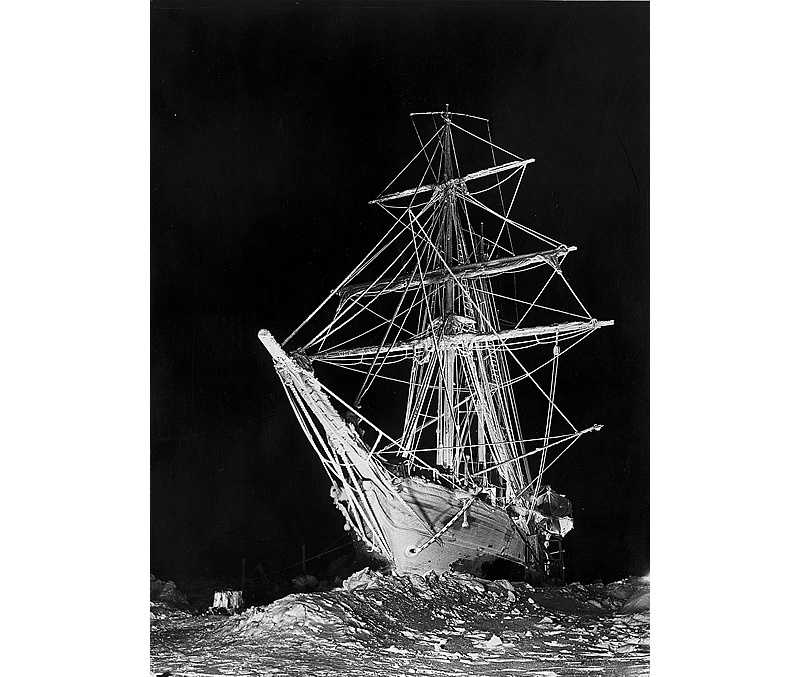 His footage was also used in the 2001 IMAX film Shackleton's Antarctic Adventure. 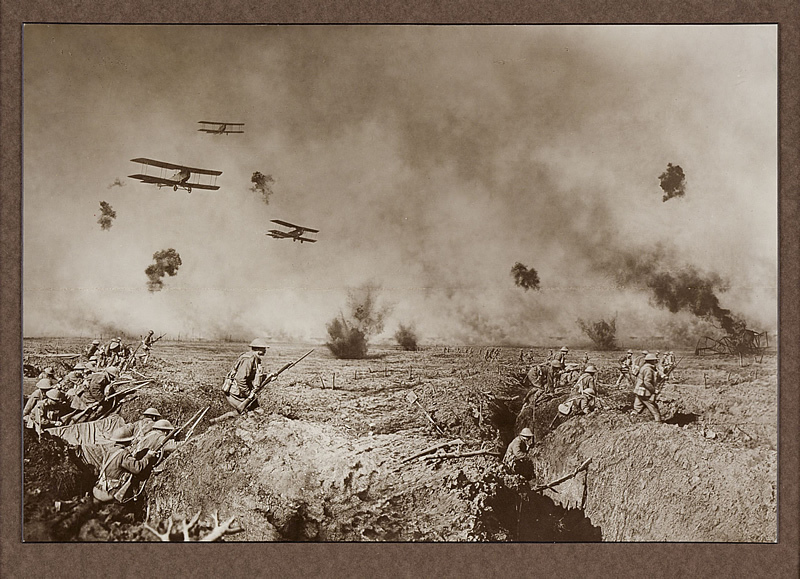 Manipulated photograph consisting of several photographs from the Battle of Zonnebeke in Belgium during the first World War. State Library of NSW. In 1917, Hurley joined the Australian Imperial Force (AIF) as an honorary captain and captured many stunning battlefield scenes during the Third Battle of Ypres. In keeping with his adventurous spirit, he took considerable risks to photograph his subjects, also producing many rare panoramic and colour photographs of the conflict. For the 1918 London exhibition Australian War Pictures and Photographs he employed composites for photomurals to convey drama of the war on a scale otherwise not possible using the technology available. This brought Hurley into conflict with the AIF on the grounds that montage diminished documentary value. Charles Bean, official war historian, labelled Hurley's composite images "fake". 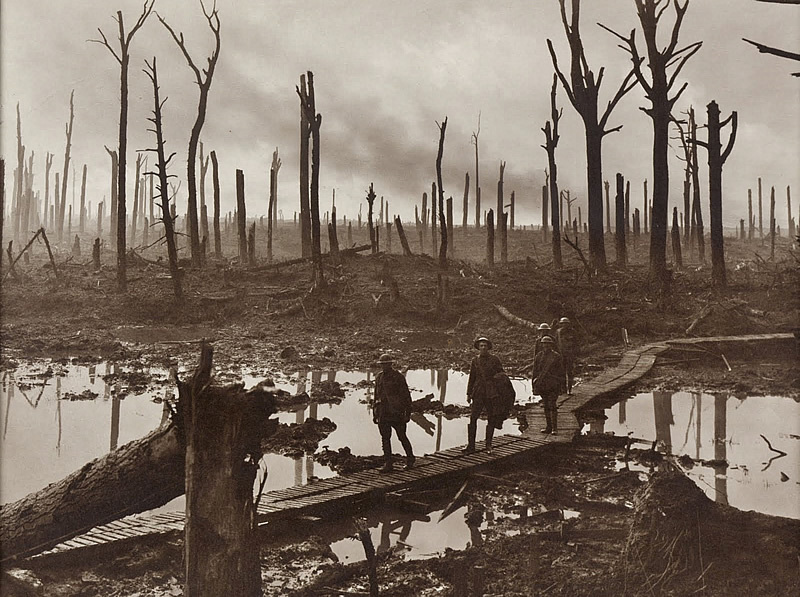 Chateau Wood, Ypres, 1917 by Frank Hurley. State Library of NSW. Hurley also served as a war photographer during World War II. He's given us a glimpse of what the war was all about. Such a dedicated and clever photographer ... think his techniques amy have been well ahead of his time. Love his pics. Hello, Dolly! is a 1964 musical with lyrics and music by Jerry Herman and a book by Michael Stewart, based on Thornton Wilder's 1938 farce The Merchant of Yonkers, which Wilder revised and retitled The Matchmaker in 1955. The musical follows the story of Dolly Gallagher Levi, a strong-willed matchmaker, as she travels to Yonkers, New York, to find a match for the miserly "well-known unmarried half-a-millionaire" Horace Vandergelder. In doing so she convinces his niece, his niece's intended, and Horace's two clerks to travel to New York City. 1964 Broadway poster. Milo Boulton and Carol Channing in one of several national tours, 1966. Hello, Dolly! was first produced on Broadway by David Merrick in 1964, winning a record-tying, with South Pacific, 10 Tony Awards, including Best Musical, a record held for 37 years. 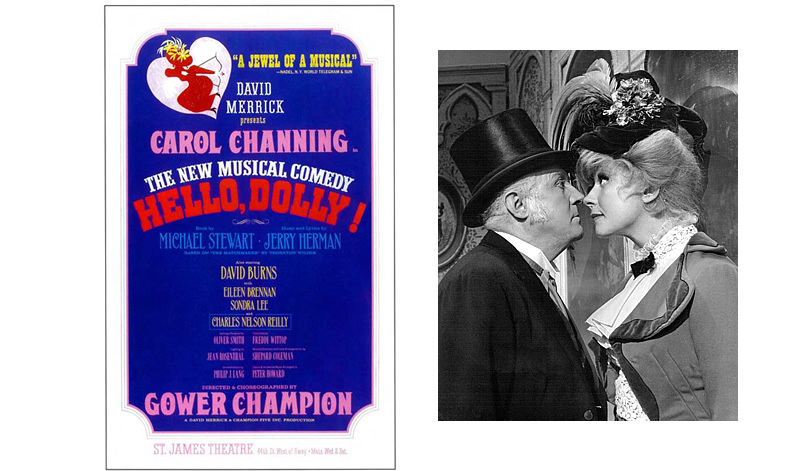 The show album Hello, Dolly! An Original Cast Recording was inducted into the Grammy Hall of Fame in 2002. The album reached number one on the Billboard album chart on June 6, 1964 and was replaced the next week by Louis Armstrong's album Hello, Dolly! 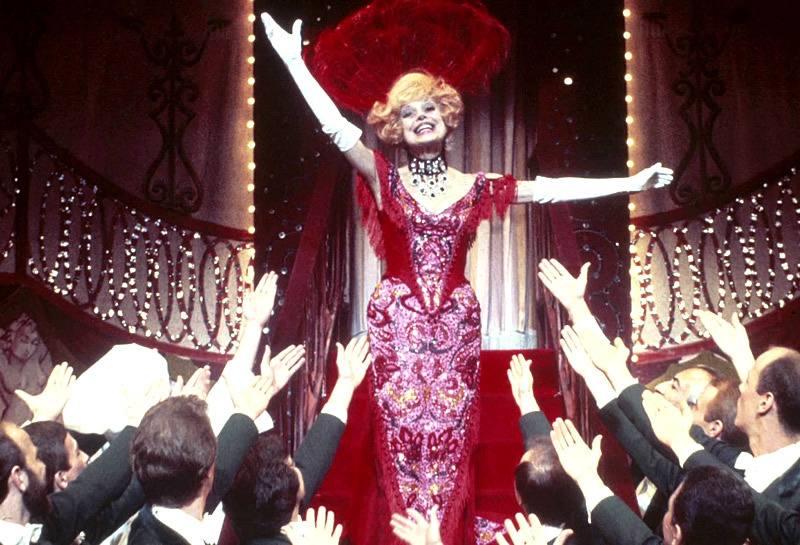 Carol Channing in the original Broadway show. 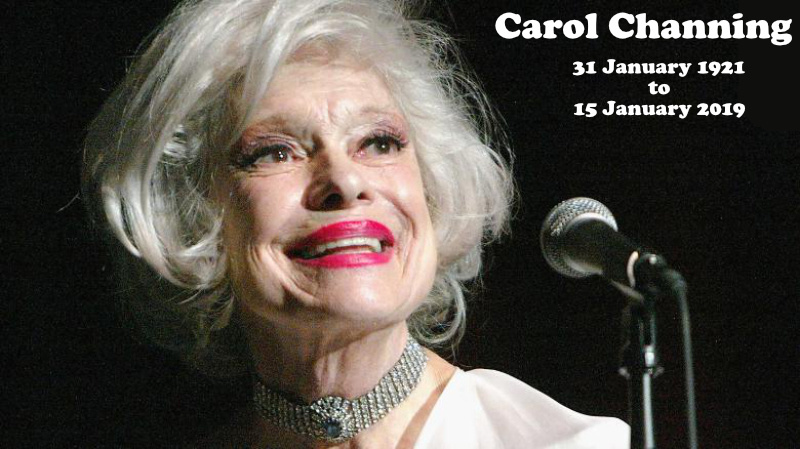 15 January 2019: Carol Channing died of natural causes at her home in Rancho Mirage, California. She was aged 97. Not familiar with her work but Bette Midler (who also played Hello Dolly) has paid a huge tribute to her. She certainly had a long career. I still prefer Barbra Streisand starring in Hello Dolly. 38 BC – After Octavian divorces his wife Scribonia he marries Livia Drusilla, ending the fragile peace between the Second Triumvirate and Sextus Pompey. 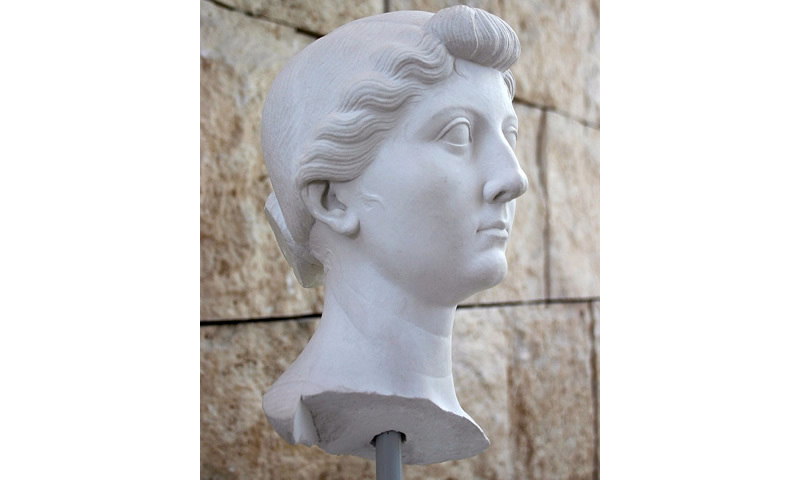 Livia Drusilla (58 BC–29 AD), also known as Julia Augusta after her formal adoption into the Julian family in AD 14, was the wife of the Roman emperor Augustus throughout his reign, as well as his adviser. She was the mother of the emperor Tiberius, paternal grandmother of the emperor Claudius, paternal great-grandmother of the emperor Caligula, and maternal great-great-grandmother of the emperor Nero. She was deified by Claudius who acknowledged her title of Augusta. Cast of a portrait of Livia Drusilla, wife to Augustus. Rome, Ara Pacis museum: From the collection of casts of busts showing the members of the Julio-Claudian dynasty. The original artwork is exhibited in the Ny Carlsberg Glyptotek in Copenhagen. Livia Drusilla was probably first married in 43 BC. Her father married her to Tiberius Claudius Nero, her cousin of patrician status who was fighting with him on the side of Julius Caesar's assassins against Octavian. Her father committed suicide in the Battle of Philippi, along with Gaius Cassius Longinus and Marcus Junius Brutus, but her husband continued fighting against Octavian, now on behalf of Mark Antony and his brother Lucius Antonius. Her first child, the future Emperor Tiberius, was born in 42 BC. In 40 BC, the family was forced to flee Italy in order to avoid the Triumvirate of Octavian, Lepidus and Mark Antony. 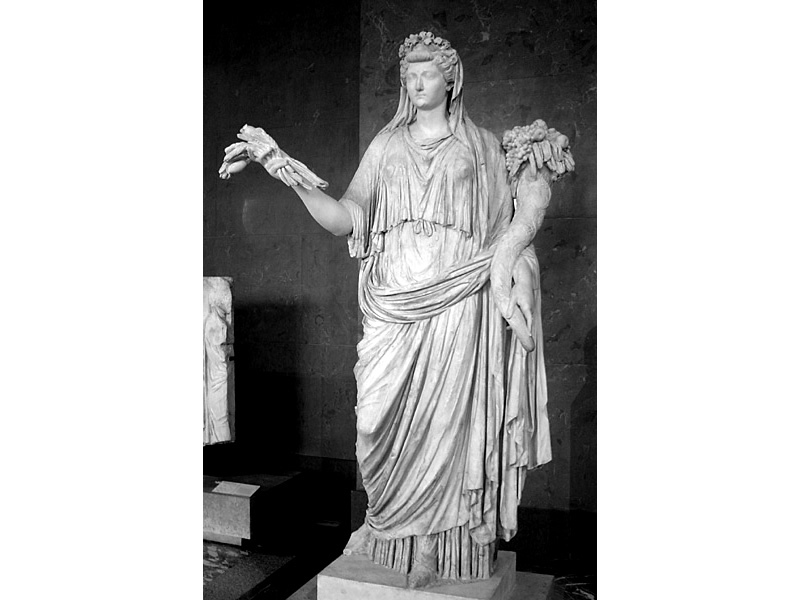 Livia Drusilla, standing marble sculpture as Ops, with wheat sheaf and cornucopia. Marble, Roman artwork, 1st century CE. After peace was established between the Triumvirate and the followers of Sextus Pompey, a general amnesty was announced, and Livia returned to Rome, where she was personally introduced to Octavian in 39 BC. At this time, Livia already had a son, the future emperor Tiberius, and was pregnant with the second. Legend said that Octavian fell immediately in love with her, despite the fact that he was still married to Scribonia. Octavian divorced Scribonia on 30 October 39 BC, on the very day that she gave birth to his daughter Julia the Elder. Seemingly around that time, when Livia was six months pregnant, Tiberius Claudius Nero was persuaded or forced by Octavian to divorce Livia. On 14 January, the child was born. Augustus and Livia married on 17 January, waiving the traditional waiting period. Tiberius Claudius Nero was present at the wedding, giving her in marriage "just as a father would." Livia and Augustus remained married for the next 51 years, despite the fact that they had no children apart from a single miscarriage. In 1976, the BBC launched a televised adaptation of I Claudius. It’s quite good for the time, especially Dame Sian Phillip’s portrayal of Livia Drusilla. 1773 – On his second voyage, Captain James Cook commands the first expedition to sail south of the Antarctic Circle. The second voyage of James Cook 1772–1775, commissioned by the British government with advice from the Royal Society, was designed to circumnavigate the globe as far south as possible to finally determine whether there was any great southern landmass, or Terra Australis. On his first voyage, Cook had demonstrated by circumnavigating New Zealand that it was not attached to a larger landmass to the south, and he charted almost the entire eastern coastline of Australia, yet Terra Australis was believed to lie further south. 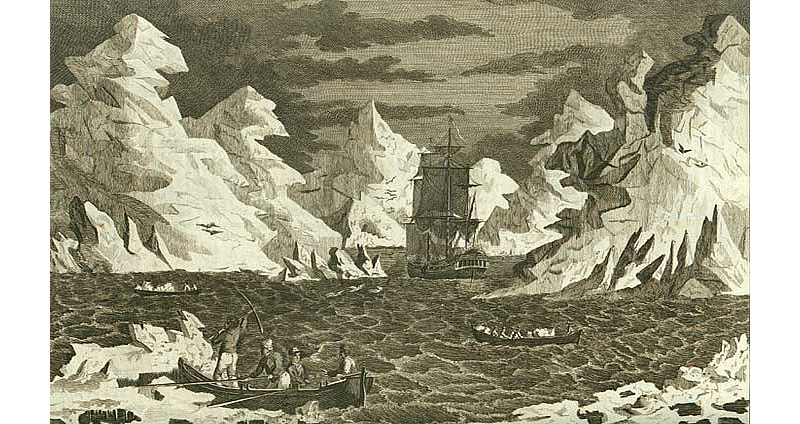 View of the ice islands as seen in Cook’s second voyage on Jan. 9th 1773. Engraved by B.T. Pouncy after a drawing by William Hodges. Captain Cook Birthplace Museum, Middlesbrough Council. On 17 January 1773, Resolution was the first ship to cross the Antarctic Circle which she crossed twice more on the voyage. The third crossing, on 3 February 1774, was to be the most southerly penetration, reaching latitude 71°10′ South at longitude 106°54′ West. Cook undertook a series of vast sweeps across the Pacific, finally proving there was no Terra Australis by sailing over most of its predicted locations. Cook in Antarctica by William Hodges. Royal Museums Greenwich. In the course of the voyage he visited Easter Island, the Marquesas, Tahiti, the Society Islands, Niue, the Tonga Islands, the New Hebrides, New Caledonia, Norfolk Island, Palmerston Island, South Sandwich Islands and South Georgia, many of which he named in the process. Cook proved the Terra Australis Incognita to be a myth and predicted that an Antarctic land would be found beyond the ice barrier. Cook proved the Terra Australis Incognita to be a myth and predicted that an Antarctic land would be found beyond the ice barrier. What is the meaning of Terra Australis Incognita? The land (terra in Latin) in this zone was the Terra Australis. Legends of Terra Australis Incognita - an "unknown land of the south" - date back to Roman times and before, although not based on any documented knowledge of the continent. Sounds like it was all the stuff of myths back then. The existence of Terra Australis was not based on any survey or direct observation, but rather on the idea that continental land in the Northern Hemisphere should be balanced by land in the south. This theory of balancing land has been documented as early as the 5th century on maps by Macrobius, who uses the term Australis on his maps. The First Battle of the Stronghold on 17 January 1873 was the second battle in the Modoc War of 1872–1873. The battle was fought between the United States Army under Lieutenant Colonel Frank Wheaton and a band of the Native American Modoc tribe from Oregon and California, led by Captain Jack or Kintpuash in Modoc. Modocs defending Stronghold. An 1873 sketch by William Simpson, Library of Congress. U.S. soldiers inspect Captain Jack's cave in the Lava Beds in 1873. U.S. National Records & Archives Administration. The US Army forces tried to dislodge the Modoc from the natural fortress, now called Captain Jack's Stronghold, in the lava beds along the south shore of Tule Lake in northeastern California. They had illegally left the Klamath Reservation in Oregon, to which they had been relocated from their territory in order to enable European Americans to settle in the area. The Modoc soundly defeated the Army, inflicting numerous casualties and forcing it to retreat. Factors aiding the Modoc included their excellent defensive position, steady patience, and a thick fog that obscured portions of the battlefield. Modocs Scalping and Torturing Prisoners. A wood engraving published in Harper's Weekly, May 3, 1873. 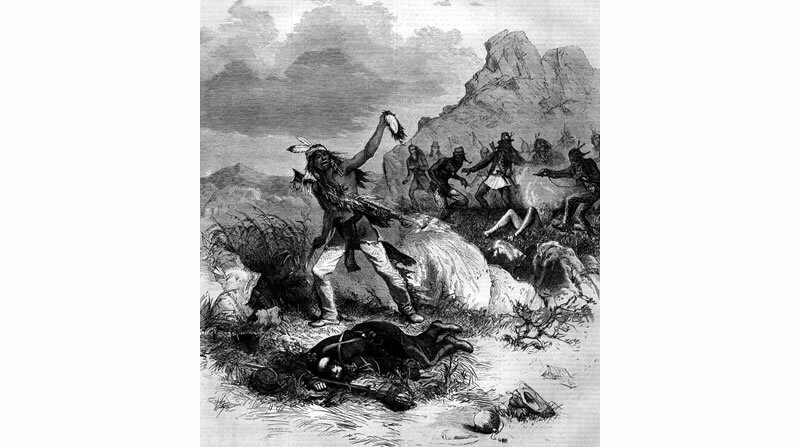 The US lost 37 men killed or wounded; the Modoc suffered no casualties. Given the fog and rock cover, no Army survivors reported having seen a Modoc during the battle. The Modoc's spiritual leader, Curley Headed Doctor, took credit for raising the fog through his rituals. The defeat of the Army at the First Battle of the Stronghold strengthened the Modoc position. The United States began peace negotiations from a position of weakness. The Modoc also gained confidence in their ability to defend their position against a superior force. 1877 – May Gibbs, English-Australian author and illustrator is born. Cecilia May Gibbs MBE (17 January 1877 – 27 November 1969), publishing under the name May Gibbs, was an English Australian children's author, illustrator, and cartoonist. She is best known for her gumnut babies and the book Snugglepot and Cuddlepie. Gibbs was born in Sydenham, Kent in the United Kingdom. Her parents were both talented artists. The family planned to move to South Australia to set up a farm in 1879 due to her father Herbert's failing eyesight, the result of a boyhood injury. However, as Gibbs had caught the measles, her father and uncle went to Australia, leaving her mother in England to care for the children. Her mother Cecilia discovered that she was pregnant again, and decided to make the voyage to Australia with her children. In 1885, the family moved to a farm property in Harvey, Western Australia. At age eight, Gibbs was given a pony named Brownie by her father. May enjoyed exploring the bush riding her pony, and began to paint and write about the bush at this time. May Gibbs, 1916 photographic portrait. In 1894, Gibbs attended an artists’ camp set up by HC Prinsep, who along with her father, was one of the founding members of the Wilgie Sketching Club at 'Undercliffe' in Greenmount, Western Australia. That year she began painting in oils and also painted scenery and made set designs for local amateur productions. In the mid-1890s she was attending classes at the Art Gallery of Western Australia. Gibbs was published for the first time in the Christmas edition of the W.A. Bulletin, 1889. Between 1890 and 1913, Gibbs made several trips to England, primarily to study art. 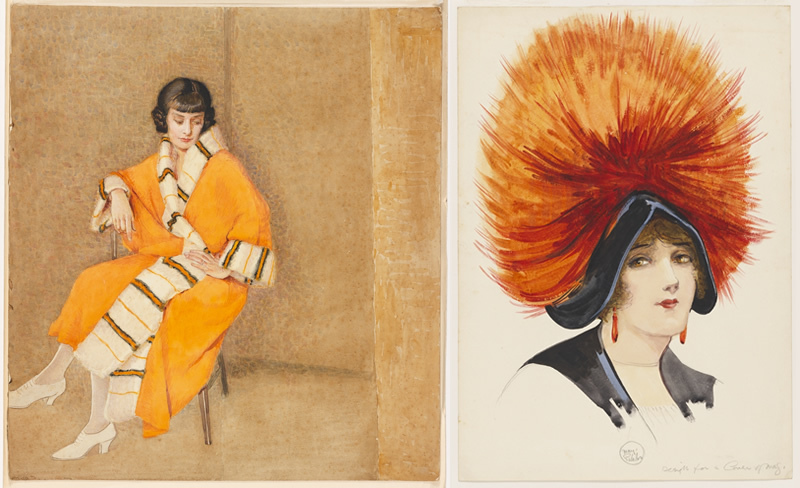 Commercial fashion illustrations by May Gibbs. State Library of NSW. On her return trips home to Australia, Gibbs produced fashion illustrations for The West Australian and cartoons for the Western Australian magazine Social Kodak. She became a regular contributor to Western Mail. Her sketches, illustrations, cartoons and caricatures appeared on the cover and throughout the newspaper between 1904-1908. Gibbs is seen as one of Australia’s first resident professional woman cartoonists and caricaturists and the first Australian woman known to have drawn local political cartoons. Newspaper cartoon by May Gibbs. State Library of NSW. Due to ill health, Gibbs returned to Australia from England in 1913, and settled in Sydney. 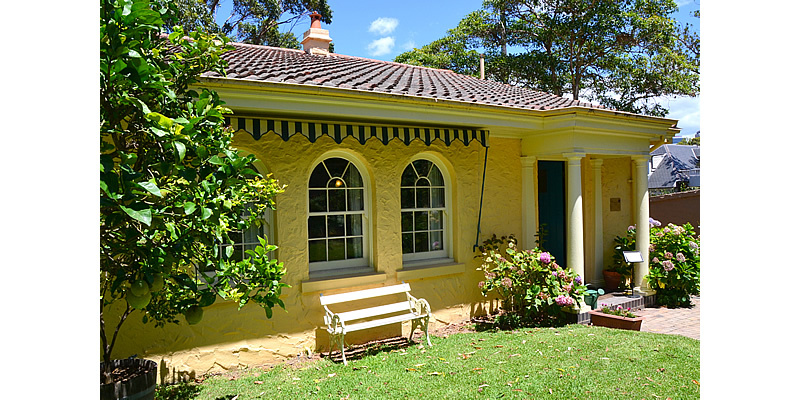 She took up residence at Derry, a heritage listed semi-detached house in Neutral Bay. 1913 also marked the first public appearance of the gumnut babies on the front cover of The Missing Button, by Ethel Turner, which Gibbs had illustrated. She produced postcards depicting gumnut babies in uniform to support Australia's role in World War One at this time. Gibbs' first book about the gumnut babies, titled Gumnut Babies, was published in 1916. It was soon followed, in 1918, by her most famous work, Snugglepot and Cuddlepie. Gibbs wrote many books on the theme of the gumnut babies. A "Banksia Man" abducting Little Ragged Blossom, from Snugglepot and Cuddlepie. Gibbs married Bertram James Ossoli Kelly, a mining agent, and in 1925 they moved into their purpose built home Nutcote, then in Neutral Bay, Sydney. Gibbs continued to write and illustrate children's books, publishing Little Ragged Blossom in 1920 and Little Obelia the following year. In addition to her work illustrating and writing, Gibbs also maintained two comic strips, Bib and Bub 1924–1967 and Tiggy Touchwood 1925–1931, in opposition newspapers. In 1923 she published Nuttybub and Nittersing and in 1929 Two Little Gum-Nuts. All her books have been reprinted numerous times and five cartoon books of Bib and Bub have been published. Nutcote, in Kurraba Point, Sydney where May Gibbs spent much of her life, now a house museum. May Gibbs died in Sydney on 27 November 1969, and was cremated at Northern Suburbs Crematorium, Sydney. 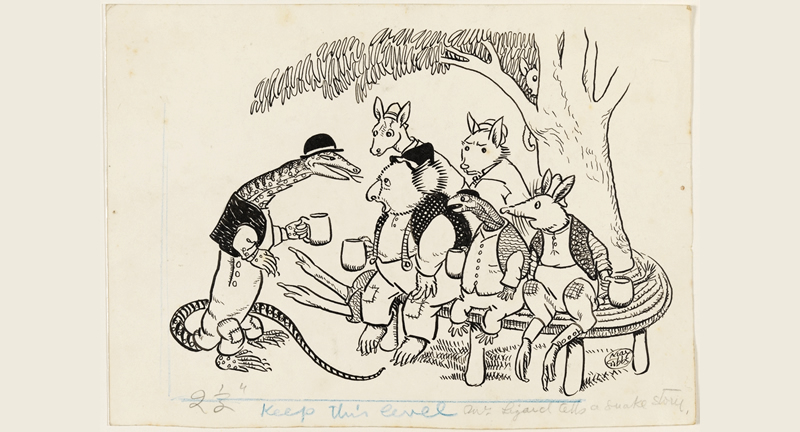 Gibbs bequeathed the copyright from the designs of her bush characters and her stories to The NSW Society for Crippled Children and The Spastic Centre of NSW. The residue of her estate was left to the United Nations International Children's Emergency Fund. I always think the wicked banksia man from her book when I see it growing in the bush. LOL Toot, I tend to do the same. And when I see those very big gumnuts ... they always remind me of the adventures of Snugglepot and Cuddlepie. 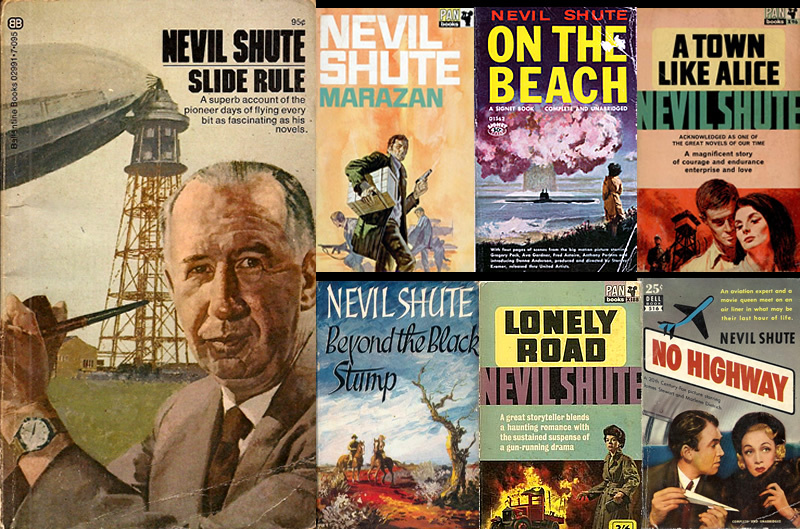 1899 – Novelist Nevil Shute is born in Ealing, London. Nevil Shute Norway (17 January 1899 – 12 January 1960) was an English-Australian novelist and aeronautical engineer who spent his later years in Australia. He used his full name in his engineering career and Nevil Shute as his pen name to protect his engineering career from any potential negative publicity in connection with his novels. Born in Somerset Road, Ealing, Middlesex, he was educated at the Dragon School, Shrewsbury School and Balliol College, Oxford; he graduated from Oxford University in 1922 with a third-class degree in engineering science. An aeronautical engineer as well as a pilot, he began his engineering career with the De Havilland Aircraft Company. Dissatisfied with the lack of opportunities for advancement, he took a position in 1924 with Vickers Ltd., where he was involved with the development of airships, working as Chief Calculator (stress engineer) on the R100 airship project. Nevil Shute in the front of the R100 (R). The R100 at RAF Cardington in Bedfordshire, April 1930. The airship in the background is the Graf Zeppelin. In 1931, with the cancellation of the R100 project, Shute teamed up with the talented de Havilland trained designer A. Hessell Tiltman to found the aircraft construction company Airspeed Ltd. Airspeed Limited eventually gained significant recognition when its Envoy aircraft was chosen for the King's Flight. Shute received the Fellowship of the Royal Aeronautical Society for his innovative fitting of a retractable undercarriage to the aircraft. With the approach of war a military version of the Envoy was developed, to be called the Airspeed Oxford. The Oxford became the standard advanced multi-engined trainer for the RAF and British Commonwealth, with over 8,500 being built. Airspeed Ltd logo. Three Oxford Mk Is of No. 6 Flying Training School at RAF Little Rissington, Gloucestershire, in formation flight. Imperial War Museums. From November 1940, the Royal Australian Air Force received 391 Oxford I and IIs from RAF contracts for use in Australia. Most of the surviving aircraft were sold in the early 1950s. By the outbreak of the Second World War, Shute was already a rising novelist. Even as war seemed imminent he was working on military projects with his former boss at Vickers, Sir Dennistoun Burney. He was commissioned into the Royal Naval Volunteer Reserve as a sub-lieutenant and quickly ended up in what would become the Directorate of Miscellaneous Weapons Development. There he was a head of engineering, working on secret weapons such as Panjandrum, a job that appealed to the engineer in him. He also developed the Rocket Spear, an anti-submarine missile with a fluted cast iron head. His celebrity as a writer caused the Ministry of Information to send him to the Normandy Landings on 6 June 1944 and later to Burma as a correspondent. He finished the war with the rank of lieutenant commander in the Royal Navy Volunteer Reserves (RNVR). A signed photo of Shute and Riddell alongside the Percival Proctor "Item Willie". Photo courtesy, Mrs Ali Riddell. Shute at Bankstown Airport in Sydney. In 1948, after the Second World War, Shute flew his own Percival Proctor light aeroplane to Australia and back, with the writer James Riddell who published a book Flight of Fancy based on the trip in 1950. On his return home, concerned about what he saw as decline in his home country, he decided that he and his family would emigrate and so, in 1950, he settled with his wife and two daughters on farmland at Langwarrin, south-east of Melbourne. Between 1956 and 1958 in Australia, he took up car racing as a hobby, driving a white Jaguar XK140. He raced incognito under the name of "Mr. N. S. Norway”. Some of this experience found its way into his book On the Beach. Mr N S Norway racing at Phillip Island, Easter Monday, 22 April 1957, Number 49. Shute's first novel, the novella Stephen Morris, was written in 1923, but not published until 1961. His first published novel was Marazan, which came out in 1926. After that he published one novel roughly every two years through the 1950s, with the exception of a six-year hiatus while he was establishing Airspeed Ltd. His popularity slowly grew with each novel, but he became far more famous after the publication of On the Beach in 1957. Twenty-four of his novels and novellas have been published. Many of his books have been filmed, including Lonely Road (as The Lonely Road in 1936), Landfall: A Channel Story (as Landfall, in 1949), Pied Piper (as The Pied Piper in 1942 and as Crossing to Freedom in a CBS made-for-television film in 1990), On the Beach (as a 1959 film and a two-part miniseries in 2000), and No Highway (as the 1951 film No Highway in the Sky). A Town Like Alice was adapted into a film in 1956, serialised for Australian television as a miniseries in 1981, and broadcast on BBC Radio 2 in 1997 as a six-part radio drama which won a Sony Award in 1998. Shute's 1952 novel The Far Country is unrelated to the 1955 film of the same name, but was filmed for television as six one-hour episodes in 1972, and as a two-part miniseries in 1987. In the 1950s and 1960s he was one of the world's best-selling novelists, although his popularity has since declined. Such a talented man, both scientifically and in the literary field. 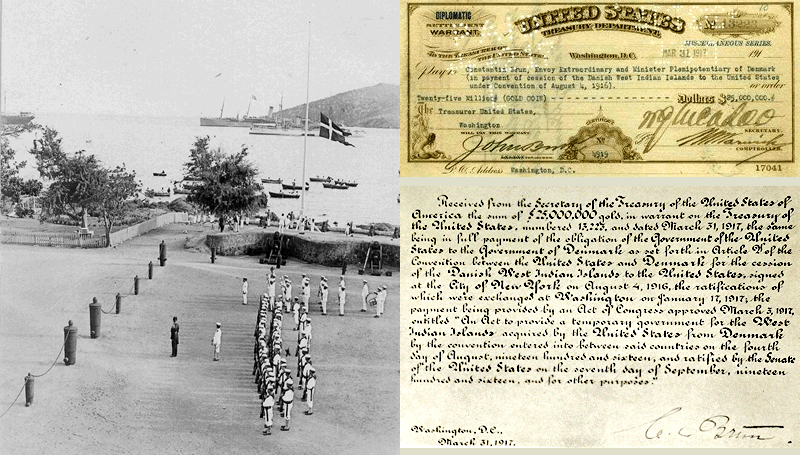 1917 – The United States and Denmark finalise a $25 million purchase of the Virgin Islands. The United States Virgin Islands, USVI, is a group of islands in the Caribbean that is an insular area of the United States located 64 kilometres east of Puerto Rico. The U.S. Virgin Islands consist of the main islands of Saint Croix, Saint John, and Saint Thomas, and many other surrounding minor islands. The total land area of the territory is 346.36 square kilometres. Flag, Coat of arms, Location. The U.S. Virgin Islands were originally inhabited by the Ciboney, Carib, and Arawaks. The islands were named by Christopher Columbus on his second voyage in 1493 for Saint Ursula and her virgin followers. Over the next two hundred years, the islands were held by many European powers, including Spain, Great Britain, the Netherlands, France and Denmark–Norway. The Danish West India Company settled on Saint Thomas in 1672, settled on Saint John in 1694, and purchased Saint Croix from France in 1733. The islands became royal Danish colonies in 1754, named the Danish West Indian Islands. Sugarcane, produced by slave labour, drove the islands' economy during the 18th and early 19th centuries. More than 50,000 enslaved Africans were taken to St. Croix during the island’s Danish colonial rule. By 1775, slaves outnumbered the Danish settlers by a ratio of 5:1. Slavery was abolished in the Virgin Islands on July 3, 1848. Although some plantation owners refused to accept the abolition, some 5,000 Black people were freed while another 17,000 remained enslaved. St. Croix Sugar Mill using slave labour. Old slave quarters still being used in one of the slum "villages" in St. Croix, 1941. Library of Congress. The onset of World War I brought any economic reforms to a close and again left the islands isolated and exposed. During the submarine warfare phases of the war, the United States, fearing that the islands might be seized by Germany as a submarine base, again approached Denmark about buying them. The Treaty of the Danish West Indies was signed in August 1916, with a Danish referendum held in December 1916 to confirm the decision. Danish flag being lowered at the Governor's Mansion for the last time 31 March 1917. U.S. Treasury Note for Twenty Five Million (Gold Coin). Receipt. The deal was finalised on 17 January 1917, when the United States and Denmark exchanged their respective treaty ratifications. 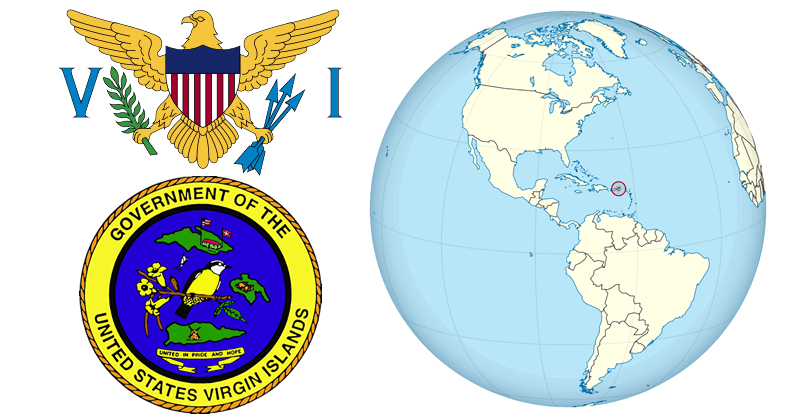 The United States took possession of the islands on March 31, 1917 and the territory was renamed the Virgin Islands of the United States. Every year Transfer Day is recognised as a holiday, to commemorate the acquisition of the islands by the United States. U.S. citizenship was granted to the inhabitants of the islands in 1927. "The onset of World War I brought any economic reforms to a close and again left the islands isolated and exposed. During the submarine warfare phases of the war, the United States, fearing that the islands might be seized by Germany as a submarine base, again approached Denmark about buying them." Sad that they have been hammered by hurricanes. 1970 – Cyclone Ada hits Central Queensland, killing 14. 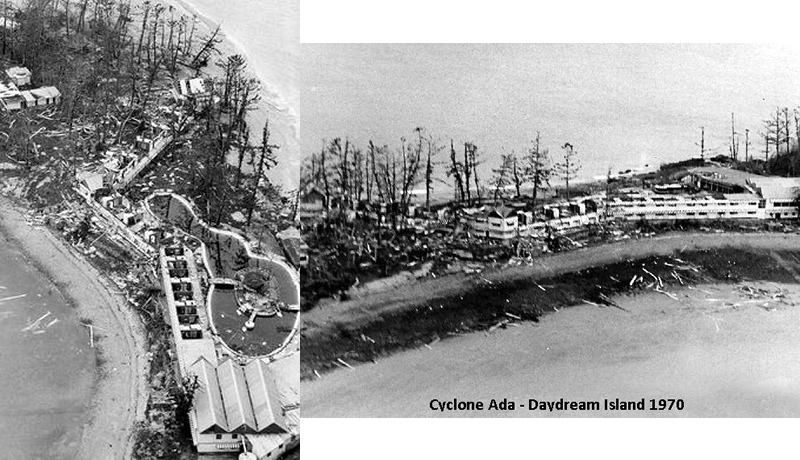 Severe Tropical Cyclone Ada was a small but intense tropical cyclone that severely impacted the Whitsunday Region of Queensland, Australia, in January 1970. The extremely compact cyclone, with a gale radius of just 55 kilometres, intensified into a Category 3 severe tropical cyclone just before striking the Whitsunday Islands at 14:00 UTC on 17 January 1970. At 18:30 UTC, Ada's eye crossed the coast at Shute Harbour. The cyclone made little inland progress before stalling northwest of Mackay and dissipating on 19 January. Cyclone Ada track map. BOM. Ada devastated multiple resort islands in the Whitsundays, in some cases destroying virtually all facilities and guest cabins. The biggest resort, located on Daydream Island, was obliterated, with similar destruction seen on South Molle, Hayman, and Long islands; since most boats docked on these islands were destroyed, hundreds of tourists in these resorts became stranded and required emergency rescue. As Ada moved ashore, most homes were damaged or destroyed in communities near the storm's landfall point, including Cannonvale, Airlie Beach and Shute Harbour. Extreme rainfall totals as high as 1.25 m caused massive river flooding in coastal waterways between Bowen and Mackay. Australian Army soldiers and Air Force planes dispatched to the Whitsunday Islands evacuated around 500 people from the devastated resort islands. Meanwhile, Navy boats retrieved injured individuals requiring urgent medical treatment. Private citizens also rushed to the aid of stranded resort guests. The floodwaters washed out roads and left some locations isolated for days. Offshore, seven people were missing and presumed dead after their fishing trawler encountered the cyclone. Ada killed a total of 14 people, including 11 at sea, and caused A$12 million in damage. Sad that many of the once famous Queensland island resorts seem all but dead now. 1991 – Gulf War: Operation Desert Storm begins early in the morning. Operation Desert Storm, 17 January 1991 – 28 February 1991, was a war waged by coalition forces from 35 nations led by the United States against Iraq in response to Iraq's invasion and annexation of Kuwait. The Iraqi Army's occupation of Kuwait that began 2 August 1990 was met with international condemnation and brought immediate economic sanctions against Iraq by members of the UN Security Council. General Norman Schwarzkopf (left) commanded Operation Desert Storm. Together with the UK's prime minister Margaret Thatcher, George H. W. Bush deployed US forces into Saudi Arabia, and urged other countries to send their own forces to the scene. An array of nations joined the coalition, forming the largest military alliance since World War II. On 17 January 1991, Operation Desert Storm began and quickly became the first war to actively use space assets as part of military operations. Military space systems provided satellite communications for air, land and sea forces. 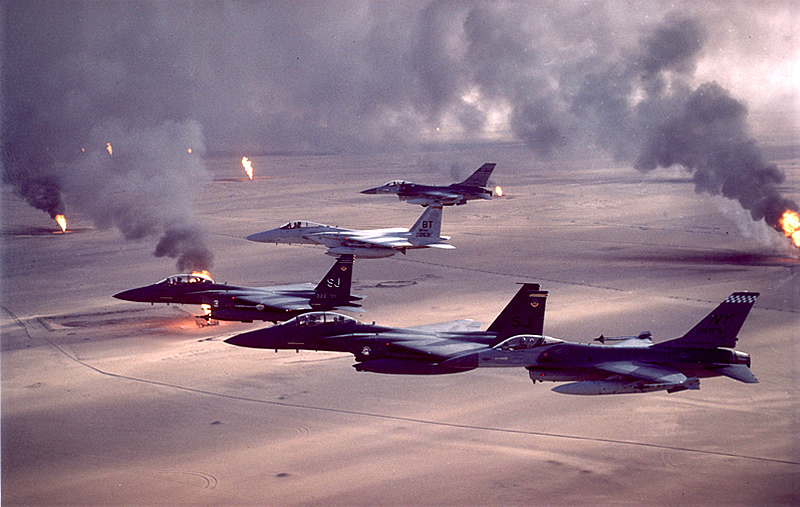 The initial conflict to expel Iraqi troops from Kuwait began with an aerial and naval bombardment on 17 January 1991, continuing for five weeks. This was followed by a ground assault on 24 February. This was a decisive victory for the coalition forces, who liberated Kuwait and advanced into Iraqi territory. The coalition ceased its advance, and declared a ceasefire 100 hours after the ground campaign started. Aerial and ground combat was confined to Iraq, Kuwait, and areas on Saudi Arabia's border. Iraq launched Scud missiles against coalition military targets in Saudi Arabia and against Israel. 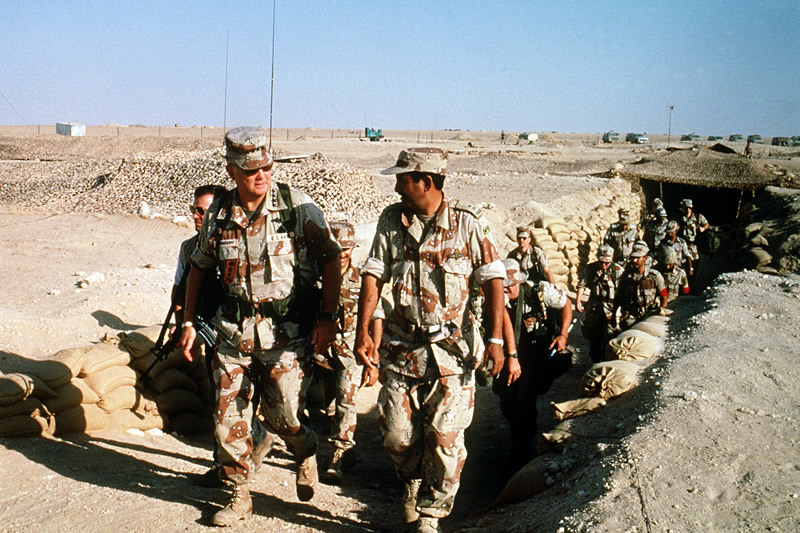 More: Operation Desert Storm. Photo Collection. Hopefully the US has learnt its lesson that the cost of charging into countries to change the status quo is too high. Millions of civilians and military lives are lost and for what, the middle east is still a hotbed of chaos. So many western allies, (like Australia) who have felt beholden to the US, sent troops of support and now we are finally asking why. Let's hope the 'charging into countries' duty isn't taken over by China and Russia now that the US and UK seem to have other things on their mind. Henry VII (1457–1509) was King of England from seizing the crown on 22 August 1485 until his death on 21 April 1509, and the first monarch of the House of Tudor. He ruled the Principality of Wales until 29 November 1489 and was Lord of Ireland. He came from an old, established Anglesey family that claimed descent from Cadwaladr (in legend, the last ancient British king), and on occasion Henry displayed the red dragon of Cadwaladr. He took it, as well as the standard of St George, on his procession through London after the victory at Bosworth. Lancashire Rose. Henry holding a rose and wearing the collar of the Order of the Golden Fleece, by unknown artist, 1505. 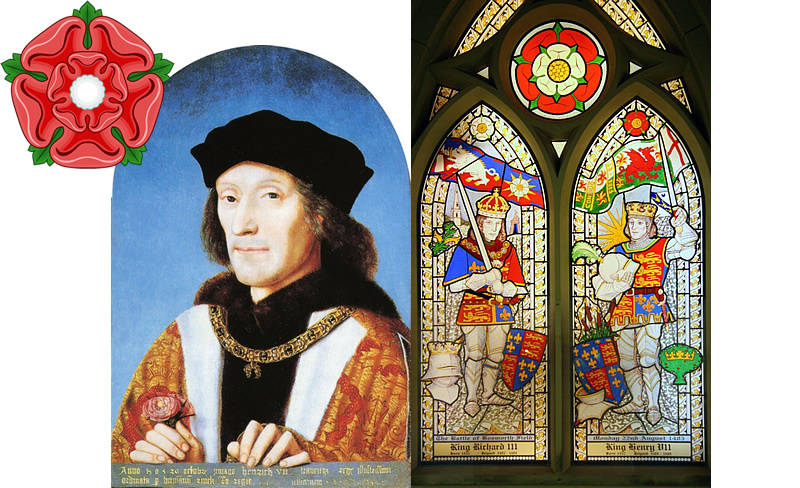 A stained-glass window in St. James Church, Sutton Cheney, commemorates the Battle of Bosworth and the leaders of the combatants, Richard III (left) and Henry VII (right). 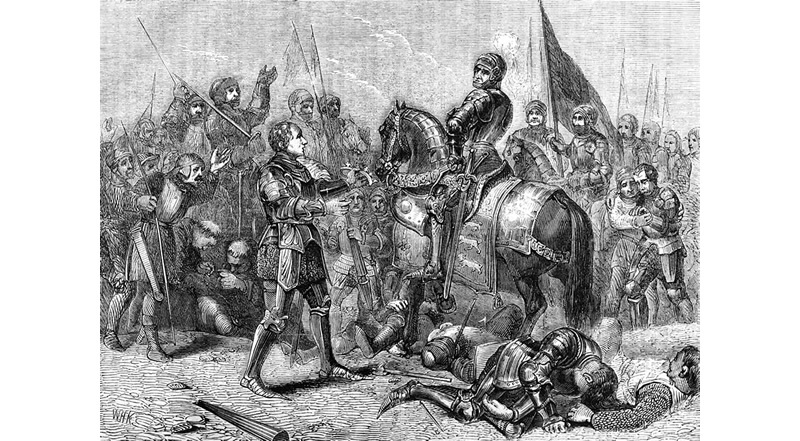 Henry won the throne when his Lancastrian forces defeated King Richard III, the last king of the House of York, at the Battle of Bosworth Field. The battle, fought on 22 August 1485, was the last significant battle of the Wars of the Roses, the civil war between the Houses of Lancaster and York that raged across England in the latter half of the 15th century. Henry was the last king of England to win his throne on the field of battle. Finding Richard's circlet after the battle, Lord Stanley hands it to Henry. Howitt, Cassell and Smith. John Cassell's Illustrated History of England, 1858, p31. After the battle, Richard's circlet is said to have been found and brought to Henry, who was proclaimed king at the top of Crown Hill, near the village of Stoke Golding. 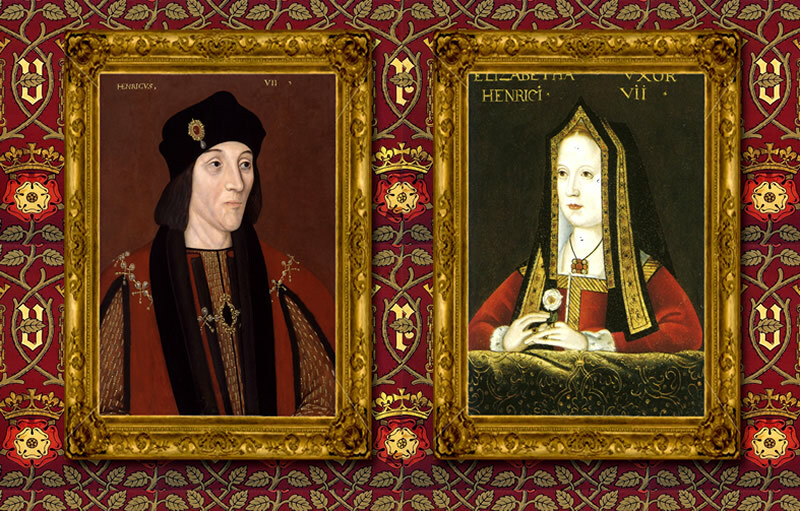 Henry then honoured his pledge of December 1483 to marry Elizabeth of York. They were third cousins, as both were great-great-grandchildren of John of Gaunt. The marriage took place on 18 January 1486 at Westminster. The marriage unified the warring houses and gave his children a strong claim to the throne. The unification of the houses of York and Lancaster by this marriage is symbolised by the heraldic emblem of the Tudor rose, a combination of the white rose of York and the red rose of Lancaster. Henry married Elizabeth of York with the hope of uniting the Yorkist and Lancastrian sides of the Plantagenet dynastic disputes, and he was largely successful. However, such a level of paranoia persisted that anyone with blood ties to the Plantagenets was suspected of coveting the throne. Henry was successful in restoring the power and stability of the English monarchy after the civil war, and after a reign of nearly 24 years, he was peacefully succeeded by his son, Henry VIII. ……Elizabeth had four children who survived childhood, Arthur, Margaret, Henry and Mary. Arthur was married to Katherine of Aragon, but died young, at the age of fifteen, making Prince Henry the new heir. Elizabeth and her husband mourned together. She became pregnant at the age of thirty-six, but the daughter died, and Elizabeth herself died in the Tower of London on her birthday the following week, just ten months after Arthur’s death. She and her son Henry were close, and at only eleven he must have been heartbroken at the loss of an older brother and then a mother. Elizabeth is buried at Westminster Abbey, the only woman to be a daughter, sister, niece, wife and mother to English kings. All the English and British monarchs from her son Henry VIII onwards are her descendants. 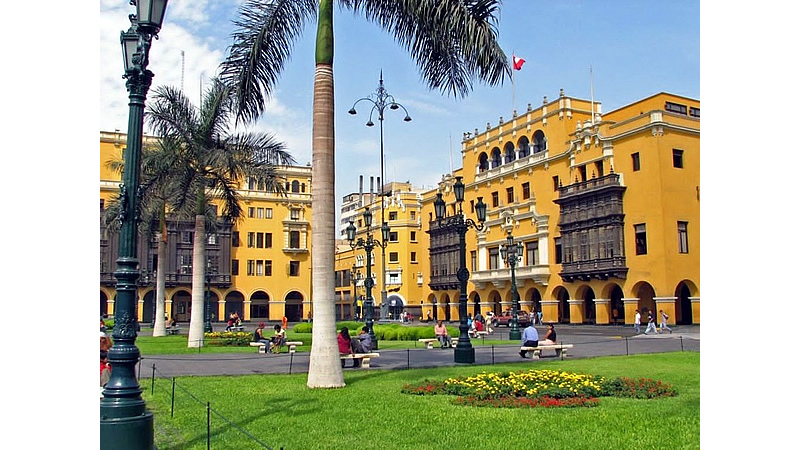 The history of Lima capital of Peru, began with its foundation by Francisco Pizarro in 1535. 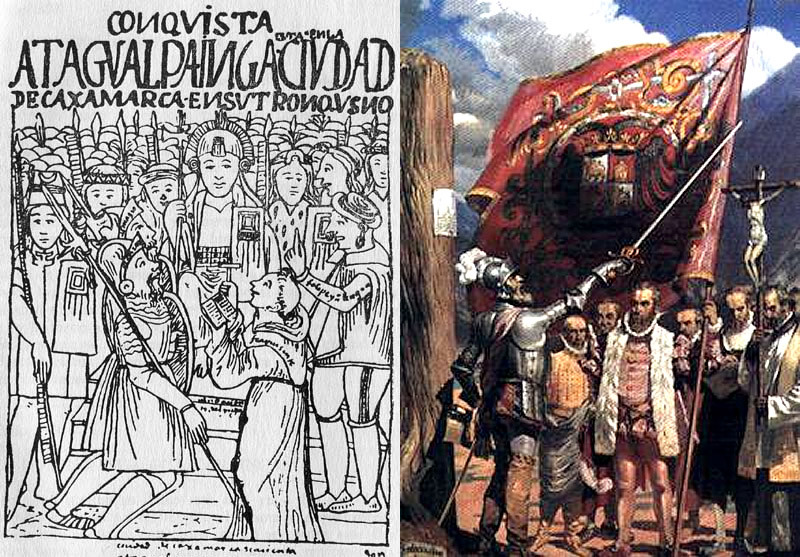 In 1532 a group of Spanish conquistadors, led by Francisco Pizarro, defeated the Inca ruler Atahualpa and took over his Empire. As the Spanish Crown had named Pizarro governor of the lands he conquered, he chose the Rímac river valley to found his capital on January 18, 1535 as Ciudad de los Reyes, the City of the Kings. Pizarro meets with the Inca Emperor Atahualpa, 1532. Pizarro and his followers in Lima in 1535. Over the next few years, Lima shared the turmoil caused by struggles between different factions of Spaniards. At the same time it gained prestige as it was designated capital of the Viceroyalty of Peru and site of a Real Audiencia (appeals court) in 1543. In the 17th century, the city prospered as the centre of an extensive trade network despite damage from earthquakes and the threat of pirates. However, prosperity came to an end in the 18th century due to an economic downturn and the Bourbon Reforms, a revised set of economic and political legislation promulgated by the Spanish Crown. Jirón de la Unión was the main street of Lima in the early 20th century. The population of Lima played an ambivalent role in the 1821–1824 Peruvian War of Independence; the city suffered exactions from Royalist and Patriot armies alike. After independence, Lima became the capital of the Republic of Peru. It enjoyed a short period of prosperity in the mid-19th century until the 1879–1883 War of the Pacific when it was occupied and looted by Chilean troops. After the war, the city went through a period of demographic expansion and urban renewal. Population growth accelerated in the 1940s spurred by immigration from the Andean regions of Peru. This gave rise to the proliferation of shanty towns as public services failed to keep up with the city expansion. The National University of San Marcos. The National University of San Marcos in Lima, founded on May 12, 1551 during the Spanish colonial regime, is the oldest continuously functioning university in the Americas. With a population of more than 10 million today, Lima is the most populous metropolitan area of Peru and the third-largest city in the Americas, behind Sao Paulo and Mexico City. While this was a proud achievement for him, today we understand that this was an unfortunate event that wiped out an entire culture. The enslavements and death from Spanish diseases caused the native population to decline by millions over the course of a few decades. Nonetheless, Pizarro helped explore and colonize several parts of South America. His achievements are still seen today. The city Lima which Pizarro named and established is the capital of Peru today. Last month he broke the scaphoid in his right hand during a training accident so badly there was extreme doubt he would even be able to compete in the gruelling Dakar Rally which takes places across rigid dunes and desert landscapes over 5000km of Peru. Anyone who has watched this race must be in awe of the desert landscape of Peru. :) Good on him ... well deserved. Toby Price wins second Dakar Rally despite riding with broken wrist for 10 days. Gold Coast resident Toby Price won his second Dakar Rally motorbike title by winning a dramatic final stage into Lima. Great result for my resident city and and Lima LOL.